Genetic mutations create lab mice with unusually long and short tails. 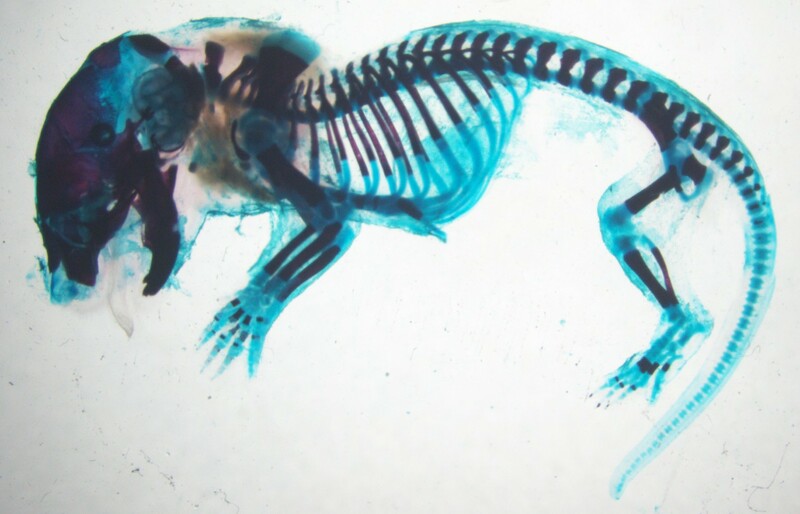 ABOVE: This mouse embryo with cartilage stained blue has an unusually short tail due to genetic mutations. 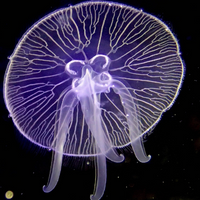 Two teams of scientists made mice with unusually long and short tails. In one group’s attempt to make a mouse model of cancer using a particular gene, the scientists accidentally ended up with long-tailed mice that had extra vertebrae. The other group was working with a gene known to play a role in tail development and found that mutations led to shorter, fatter tails. The labs reported their results in two papers on January 17 in Developmental Cell. 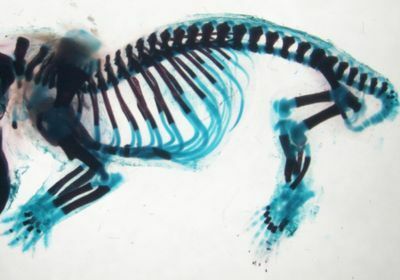 This mouse embryo with cartilage stained blue has an unusually long tail due to genetic mutations. D.A. 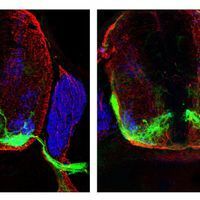 Robinton et al., “The Lin28/let-7 pathway regulates the mammalian caudal body axis elongation program,” Developmental Cell, doi:10.1016/j.devcel.2018.12.016, 2019. 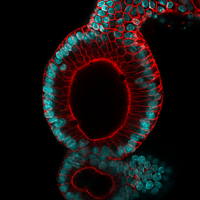 R. Aires et al., “Tail bud progenitor activity relies on a network comprising Gdf11, Lin28, and Hox13 genes,” Developmental Cell, doi:10.1016/j.devcel.2018.12.004, 2019.